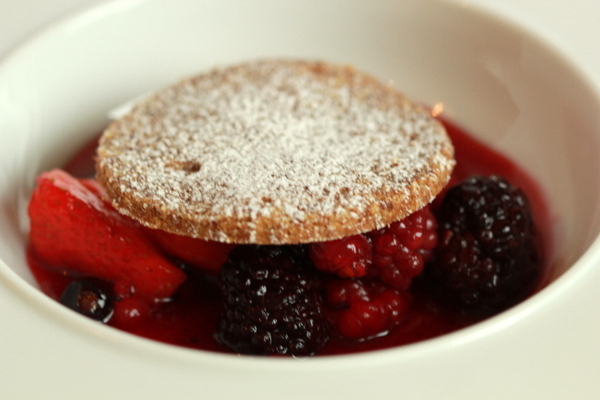 This is such a simple summer dessert but really elegant and delicious. The shortcake works really well made with gluten free flour and is there anything simpler or more delicious than a bowl of summer fruit?. 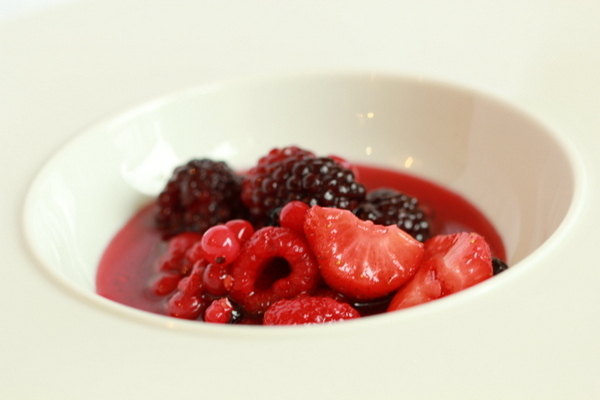 The red wine syrup is amazing with the flavours of star anise, clementine and vanilla and works really well with meringues or a fruit parfait. Mix flour and cornflour together. Add the butter and sugar and rub together with your fingertips until the mixture is just beginning to come together. Knead lightly until the mixture forms a smooth dough. Leave to cool for a few minutes before carefully lifting off onto a wire rack to finish cooling. Add everything to a medium pan and heat over medium high. Stir from time to time until the sugar has dissolved then cook down the wine syrup, uncovered, until thick enough to lightly coat a spoon. Pour through a sieve into another container to cool and store in the fridge until needed.